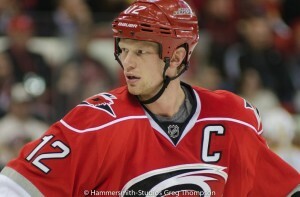 Home / Vancouver Canucks / Is Trading the Sedins an Option for the Canucks? 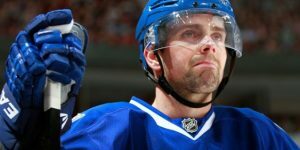 Is Trading the Sedins an Option for the Canucks? 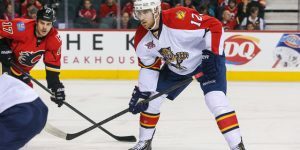 The recent losing streak fueled by a lack of offense for the Vancouver Canucks coupled with the youth turn initiated by general manager Jim Benning has many observers seeing if it is wise at this time to part with the Sedin brothers. 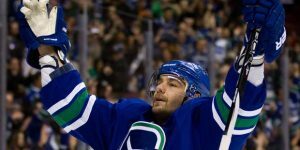 At 36, the twin veterans who have played their career in a Canucks uniform are under contract for another two years. After being in the NHL for over 16 years, the Sedins brothers may want to take a chance on going somewhere where the opportunity to win a Stanley Cup will be greater than in a Canucks uniform. As for the Canucks, it would give them some young promising prospects in the depth chart rising. The moment for the Canucks to obtain quality players or draft choices for the twins is possibly this year. 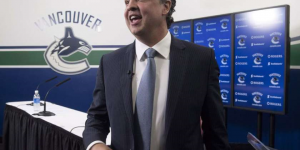 let’s face it, the Canucks are in a rebuilding mode and the Sedins are not part of the future. In order to execute such a trade, the Canucks would have to absorb some salary cap for them, since most teams won’t have the space to take a two player package deal at 14M. But taking two for 7M (50% cap hit retained by the Canucks) at the trading deadline may make more sense for a contending team wishing to boost their line up. 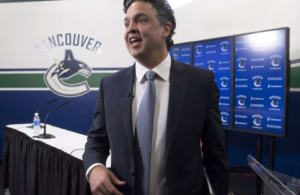 Another option would be the vancouver Canucks taking on some salary. 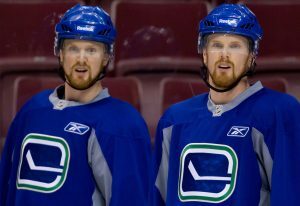 This season the captain Henrik Sedin has 5 goals and 8 points, in 14 games played while his brother Daniel has 4 goals and 7 points in 14 games played. Last year Daniel Sedin had 28 goals and 33 assists for 61 points in 82 games while captain Henrik scored 11 goals and assisted on 44 of them for 55 points in 74 games played. 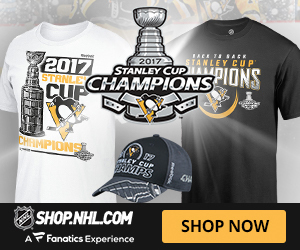 needless to say their production would greatly help any contending team, as long as this team is ready to accommodate them for their last season on their contract. In addition, the Sedins have a no-move-clause (NMC), so any trade possibilities would need to be discussed prior by all parties. 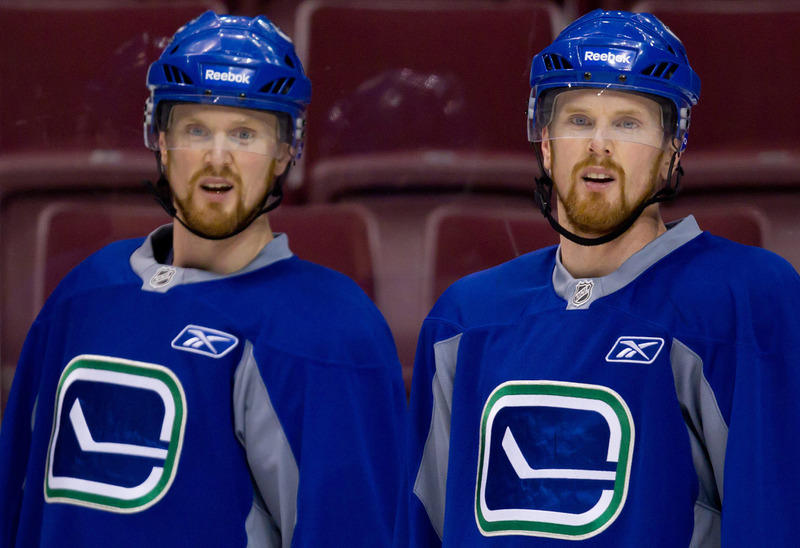 Trading the Sedins brothers is definitely one of the possible options to be observed this season depending on the Vancouver Canucks status come trade deadline in March. In other Canucks news, Vancouver sent prospect forward Jake Virtanen back to the Utica Comets. Virtanen who played in only ten games this season with limited ice-time will get the opportunity to get it going again in Utica. This season, new Westminster, BC native had only one assist. This is seen as a great move and potentially a temporary move by the Canucks, who will need Virtanen’s offense down the road. Last season, his rookie season, Virtanen played 55 games for the Canucks scoring 7 goals with seven assists. Heard on TSN 690, TSN Trade Insider Bob Mckenzie confirmed the value of Montreal Canadiens, David Desharnais is relatively low right now. On Wednesday, Desharnais was alternating at centre with fourth line center/winger Patrick Danault. Desharnais who had a good start, wen t quiet for the last nine games and hasn’t picked up any points. For David Desharnais, this season is the last season of his current contract and he will be an unrestricted free agen t at season’s end. 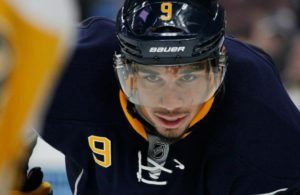 faced with challenges throughout his career, many are describing this latest slump the last one as a Montreal Canadien. Desharnais, who at one time, was on the first line with Max Pacioretty has been facing reduced ice-time as observed in the last game against the Boston Bruins where he played just over 10 minutes. 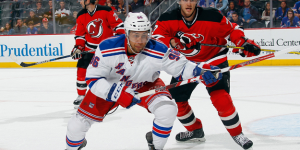 Desharnais is on the last year of a 4 year deal worth 14M. His current cap hit is at 3.5M, which will be difficult to move.